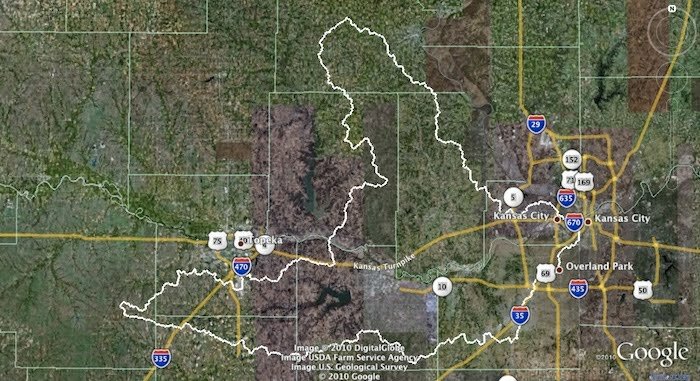 View Kansas River Inventory-Western Wyandotte County in a larger map. Click for map help. 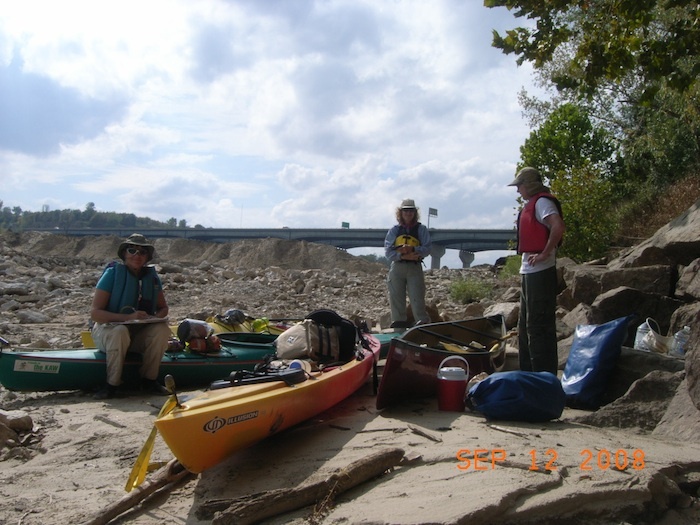 View Kansas River Inventory-Eastern Wyandotte County in a larger map. Click for map help. Water source: Surface water from the Kansas River, and purchased water from Kansas City, KS. Dredge sites/off river pit mines: The Kaw Valley Companies river dredge river mile18.4 – 19.9 (active.) 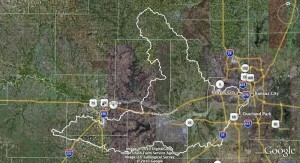 There are no pit mines near the Kaw in this area. Bridges over Kaw: I- 435, Turner Bridge of Kaw Dr., I-635, Kaw Dr., US 69/18th St., 12th St., 7th St., Kansas Ave., I-670, Central Ave., James St., and I-70. Water source: Surface water from the Kansas River and Missouri River, and groundwater from alluvial aquifers along these rivers. Dredge sites/off river pit mines: Kaw Valley Companies in-river dredge permit at river mile 12.8 – 13.9 (active) and 9.4 – 10.4 (in active) and pit mine at 84th & Gibbs.